$40.00† a month for 12 months. † Price is for 12 months. Modem and Wi-Fi Router not included. $35.00† a month for 12 months. Disney, Discovery, Sprout, and Nick Jr.
†Plus taxes For 12 months w/12 mo agreement, after auto pay credit. $110.00† a month for 12 months. All of AT&T's internet plans come with a combination modem and Wi-Fi router for no additional fee. Television and bundle packages with TV also come with receivers for up to 4 rooms and an HD DVR. AT&T's Total Home DVR allows you to record up to 4 shows at the same time. This feature is included in all U-verse TV plans, so you never have to miss any of your favorite programming. Get HBO© and Cinemax© free for 3 months on U-family, U200, and U300. These channels come included with the U450 plan. Since 1983, AT&T has been a publicly traded company and currently stands as the largest provider of DSL Internet in the United States. On top of being the largest provider of fixed line telephone service in the US, AT&T is also the second largest mobile phone provider. Since 2006, AT&T has offered their U-Verse service which can include broadband Internet, TV, and telephone service. Wireless service is available in all 50 states and Puerto Rico. AT&T's 4G LTE wireless service offers customer download speeds between 5 and 12 Mbps. 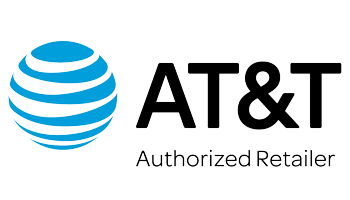 After recently merging with DirecTV, AT&T now offers bundling discounts for their Internet service and DirecTV's television service. How much is AT&T U-verse Internet only per month? AT&T U-verse offers internet plans that start at $40.00 a month. What is the speed of AT&T U-verse Internet? Most customers, who have AT&T U-verse available to them can get speeds between 25Mbps and 100Mbps. 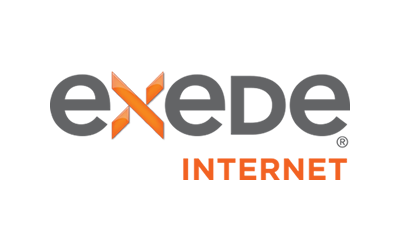 Customers in areas with a fiber connection available can get speeds ranging from 100Mbps to 1000Mbps. What kind of Internet service is AT&T U-verse? AT&T offers both Cable and Fiber internet connections. Fiber has more limited availability, but offers greater speeds, which can reach 1000Mbps or 1Gbps. How much data do I get with AT&T U-verse? AT&T's plans include 1TB (Terabyte) of data per month. Additional data is charged $10 per 50GB, but is capped at $100 per month of additional data fees. AT&T U-verse is ranked #4 of the largest provider in the U.S., in terms of availability to customers. AT&T U-verse offers Internet service to approximately 319,220,047 people in 1,982 counties over 37 states. AT&T U-verse offers a variety of plans, which do not require a term based agreement. There are certain promotions and deals, which do require a commitment for a duration of 12 or 24 months. Please refer to the Cable Customer Agreement for specific information regarding your plan. Comcast's internet plans have enforced data caps in some areas, but most users should not have to worry about utilizing more than 1TB of data within a given billing cycle. The penalty for a data overage is an additional charge for the amount of data, which exceeded your cap. AT&T U-verse is available in 22 states. Is AT&T’s new 5G mobile service coming to your city? Find out about the latest 5G developments from AT&T Mobility.